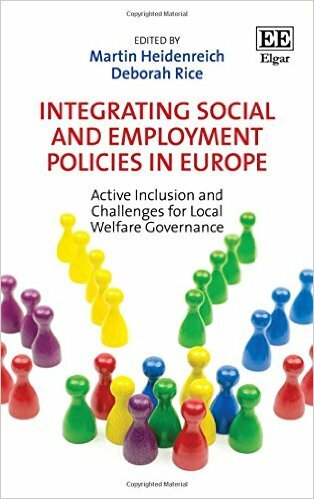 서명/저자 Integrating social and employment policies in Europe : active inclusion and challenges for local welfare governance / e.d. by Martin Heidenreich ; Deborah Rice. 발행사항 Cheltenham, UK : Edward Elgar Pub , 2016. A central goal of European activation policies is to provide coherent and actively inclusive employment and social services. This book offers new insights on the effective governance and implementation of such policies. Utilizing empirical studies from six European welfare states, expert contributors explore how different institutional contexts influence localized service delivery and how local authorities deal with the associated coordination challenges. Acknowledging that neither decentralization nor provider networks necessarily prevent fragmented service provision, Martin Heidenreich and Deborah Rice illustrate that an understanding of the European budgetary context, as well as individual network brokerage, is vital for a successful integration of employment and social policies at the local level. Timely and engaging, this innovative book will provide new theoretical perspectives and invaluable empirical materials for academics and students in the field of comparative social policy. Policy makers and officials will also appreciate the editors’ practical approach.